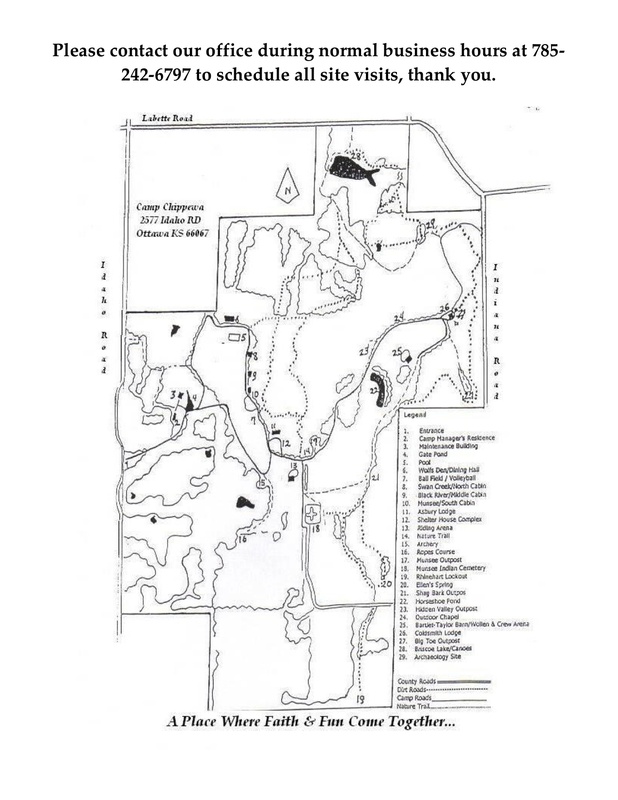 Camp Chippewa is located 7 miles west of Ottawa off Highway 68 and then 3 miles south on Idaho Road. Camp Chippewa is also 2.3 miles north of I-35 at exit 176 (the “Homewood” exit). See approximate driving times and maps below. IF YOU ARE USING A GPS: Please use 2571 Idaho Road, Ottawa, KS as your destination location.